Two months of tunes - free! Napster is handing all our UK readers full app and online access to its 18 million songs for two whole months for free. Gratis. Nada to pay. To celebrate the T3 Apps Special, (get a T3 subscription if you've not seen it yet)iconic digital music pioneer Napster is giving all our readers based in the UK a two-month free trial of its rather fine on-the-move Napster Unlimited + Mobile streaming service. This offer begins on the 23 April. This means you get access to more than 18 million songs, curated playlists, feature content and some 200 themed radio stations for nothing when it would usually cost you £20. Check out the T3 Napster music deal here. New and improved apps are available for iOS and Android mobiles and tablets, but you can also access your trial in your web browser and on Xbox 360, Nook e-readers and LG Smart TVs. In order to get the Napster Offer,T3 readers are required to register at Napster (www.napster.co.uk/T3), and agree to for a Napster account with a valid billing payment method (e.g. credit card). The Readers will automatically enter a subscription plan if they do not terminate their subscription membership within the free 2-month period. 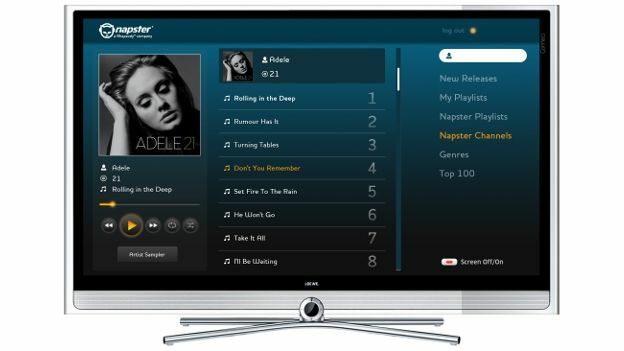 The registered billing payment method will not be charged subscription fees during the free 2-month period, but will be charged for any additional Napster products or services that the user may purchase during this period, as well as any on-going subscription fees following the expiration of the free 2-month period. The Napster Offer may only be redeemed by new Napster members and may not be combined with other Napster offers (including another free trial). This offer is valid from April 23 to May 25, 2013, UK residents only.